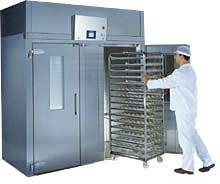 A wide range of retarders and retarder/provers. Racked units to take 30" x 18" or 600 x 400mm trays. Wheel in units to take one, two or four mobile racks. Units available for 24 hour or 72 hour retarding.